The thought of sacrificing a person’s life may seem like the sort of barbaric ritual reserved for only the most unholy and uncivilised societies, however, cultures considered to be highly affluent and advanced regarded human sacrifice as just a normal part of life. Who: The Carthaginian society was one of the wealthiest and most powerful civilisations in the ancient world. Carthage was a Semitic civilisation centred on the Phoenician city-state of Carthage, located in North Africa, outside what is now Tunisia. The Sacrifice: The Carthaginian society was paradoxical in that despite being one of the strongest civilisations in the world it engaged in rituals even contemporaries consider horrifying. The absolute worst must be the practice of infant sacrificial killings. Experts believe this was done for a number of reasons, firstly to gain favour with gods and secondly to control the increasing population. Some also believe that it was done deliberately by wealthy citizens to keep their wealth intact. Between 800 B.C and 146 B.C, when the Romans conquered Carthage, it is estimated that around 20,000 babies were sacrificed. Who: The Etruscans lived in what is now known as Tuscany. They were farmers and traded with both Greece and Carthage. Sacrifice: Scholars have been reluctant to believe that the Etruscans practiced human sacrifice. 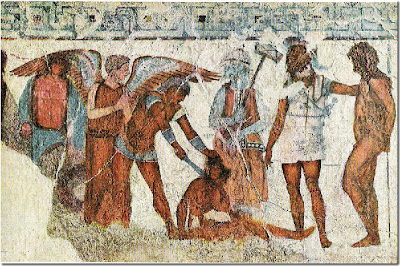 There are many specific references in written sources and in representations of human sacrifice that have at one time or another been dismissed as not sufficient for determining if the Etruscans did in fact engage in this practice. 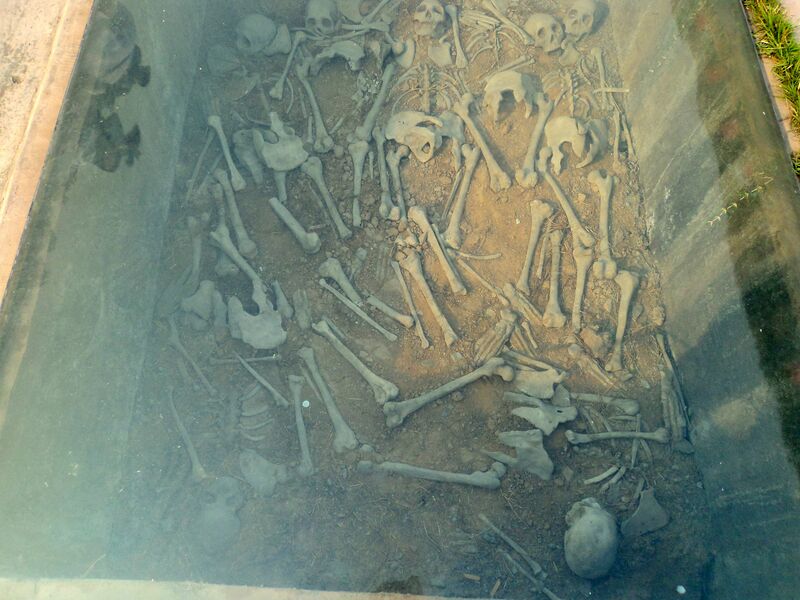 However, recent excavations in the monumental sacred area on the Pian di Civita at Tarquinia by the University of Milan have proven once and for all that human sacrifice was indeed practiced by the Etruscans, through the discovery of a number of burials in this non-funerary context, of infants, children and adults. One child, an 8-year old, was decapitated and his feet placed at the base of and underneath a wall, evidently as a foundation deposit. A stone altar, a sacred building, and a ritual deposit of symbols of secular power (an axe, a shield and a lituus trumpet) were all part of the archaeological context in which the killings took place. There are many representations in Etruscan mythic art that clearly depict human sacrifice. While the myths may show a kind of surrogate for actual killing, they nevertheless may reflect actual rituals and beliefs associated with such killing. Who: Although human sacrifice was very common in ancient China it was practiced on a larger scale during the Shang dynasty (c. 1600 BC–c. 1046 BC). Sacrifice: In ancient China there were two clear purposes for human sacrifice: political control and religious communication. The three main types practiced by the Shang were pit, foundation and internment. Pit sacrifices were reserved particularly for young men, who would be dismembered and buried without their personal possessions. Foundation sacrifices were for children and babies who would meet particularly violent deaths, and they too were buried without their possessions. Finally, internment sacrifices were for young girls who, unlike the first two, were buried in standard burial positions and their bodies were kept intact. Who: The Celts were and ethnolinguistic group of tribal societies in Iron Age and Medieval Europe. Furthermore, he mentioned the infamous wicker man, and how the Celts used it for sacrifice. Who: Hawaii is the northernmost island group in Polynesia, occupying most of an archipelago in the central Pacific Ocean. Sacrifice: The ancient Hawaiians believed that by sacrificing humans they could gain the favour of Ku, the god of war and defence, and achieve victory in their battles. Sacrifices were held in temples called Heiau. The people used were captives, particularly chiefs from other tribes, who would be “hung upside down on wooden racks.” The priest would be anointed with sweat collected from the sacrifice. Then the sacrifice would be beaten repeatedly until their flesh became smooth. Finally, they would be disembowelled and their flesh would be either “cooked or eaten raw” by the priest and the chief of the tribe. Who: Mesopotamia (“land of rivers”) is a name for the area of the Tigris–Euphrates river system, corresponding to modern-day Iraq, Kuwait, the northeastern section of Syria and to a much lesser extent southeastern Turkey and smaller parts of southwestern Iran. In the Bronze Age it was considered to be the cradle of civilisation. With the fall of Babylon in 539 BC and subsequent conquering by Alexander the Greta in 332 BC it became part of the Greek Seleucid Empire. Sacrifice: The Mesopotamians practiced human sacrifice as part of the burial rituals of their royal and elite families. Palace attendants, warriors, and handmaidens were sacrificed for the purpose of accompanying their masters into the afterlife. After they had been killed their bodies were put in a systematic, decorative order. The warriors would have their weapons at their sides, while the handmaidens would be adorned with headdresses. For many years, experts believed that these sacrifices were killed with poison. However, new examinations show that their deaths were much more brutal — they were stabbed through the head with a pike, a painful but quick death. Who: Probably the culture that we most associate with human sacrifice. The Aztec’s were certain ethnic groups from central Mexico, particularly those who spoke the Nahuatl language. They dominated large parts of Mesoamerica from the 14th to 16th centuries until the Spanish conquest. 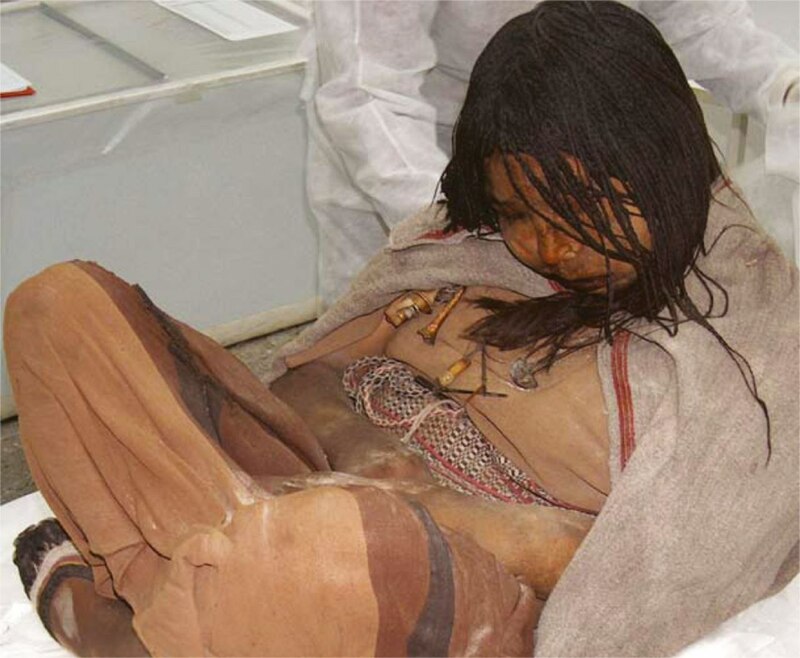 Sacrifice: The Aztecs bought human sacrifice to an unprecedented level. They believed that in order to keep their sun alive they would have to offer lives as human blood was a “sacred life force” that the sun god, Huitzilopochtli, needed for nourishment and appeasement. The Aztecs performed brutal and gruesome human sacrificial killings of both volunteers and members of other tribes who were captured during war. During the reconsecration of the Great Pyramid of Tenochtitlan in 1487, the Aztecs reported that they sacrificed 80,400 prisoners over the course of four days. The sacrifices would be required to walk up the stairs of the temple where they reached a priest who would open their stomachs; cutting them from their throats down to their bellies. The priest would then offer the heart to the gods, while the bodies would be dismembered at the bottom of the temple. Due to relatively few neutral sources it can be assumed that the numbers of sacrifices have been exaggerated, but there is no denying they happened on a large scale. Who: The Inca Empire was the largest empire in pre-Columbian America.The administrative, political and military center of the empire was located in Cusco in modern-day Peru. The Inca civilization arose from the highlands of Peru (like Machu Picchu) sometime in the early 13th century, and the last Inca stronghold was conquered by the Spanish in 1572. Sacrifice: Traditionally the Incas resorted to the practice of human sacrifice as a way to prevent natural disasters. The entire empire was plagued by volcanic eruptions, earthquakes and floods, which the Inca’s believed were controlled by the gods. While many sacrifices were prisoners, some children were raised solely for the purpose of being ritually killed under the belief that physically healthy children were the purest sacrifices the Inca could offer. The Inca firmly believe that there was an afterlife where the children who were sacrificed would live in a better, happier place. In addition, the sacrifices were often treated very well before they were killed — they were given an excellent diet, a feast in their honour, and even a meeting with the Emperor. America has to date sacrificed over 56 MILLION of it unborn and abortion escapees to date. ALL of the ancient civilizations that practiced human sacrifice (except China) have gone extinct. The one true God, our Lord Jesus Christ, have punished those who have practiced such things and we wonder why America is being hit with terrorism and unprecedented weather events? Wake up America! We either repent corporately or we perish as a nation. Jeremiah 2:34 says “I discovered the blood of the holy innocents under your skirts.” The ancient Israelites were practicing infanticide (or the sacrificial murder of babes) just like their Canaanite/Phoenician neighbors of Israel and Carthage. Then it was done to appease the “gods” for a fruitful harvest, etc. Now it’s done for convenience and profit so that babes’ parts can be used in products for the skin, etc. Are people any different today? Yes, we’re in denial and, although we have access to more information, we are becoming more beast-like in our insensitivity to other human life while ironically we’re becoming more sensitive to the well-being of endangered animals and other animals.